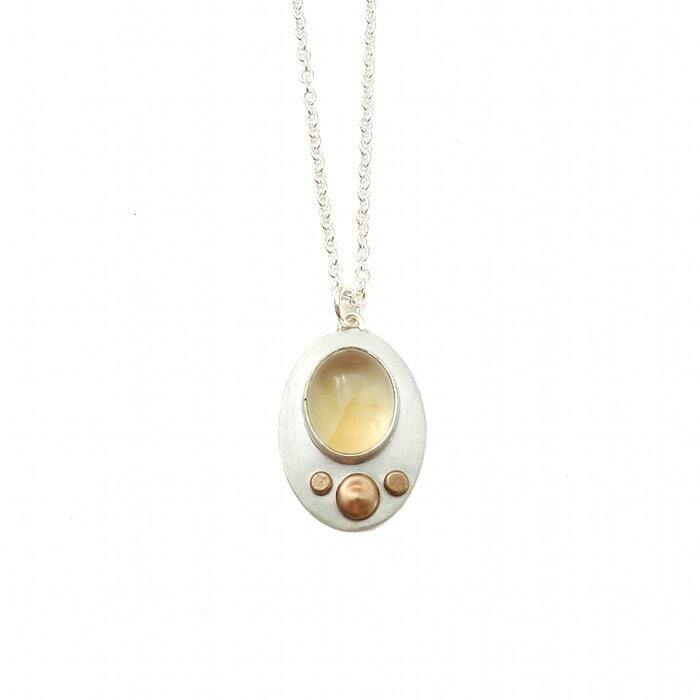 This lovely citrine necklace has a 12x10mm natural gemstone and bronze granule accents. The pendant is approximately 1" in height and 5/8" in width. Simple design that is pretty and easy to wear. It is set in sterling silver and hangs on a 17” sterling chain.